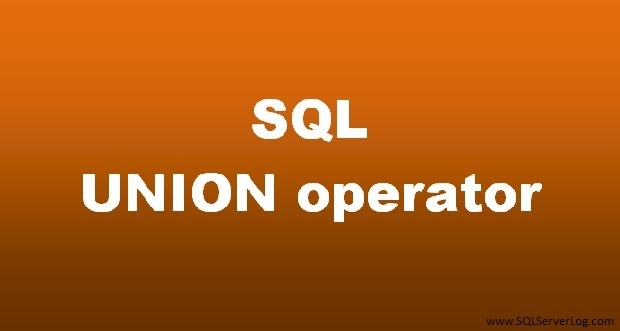 SQL UNION operator is used to combine the results of two or more SELECT statements. 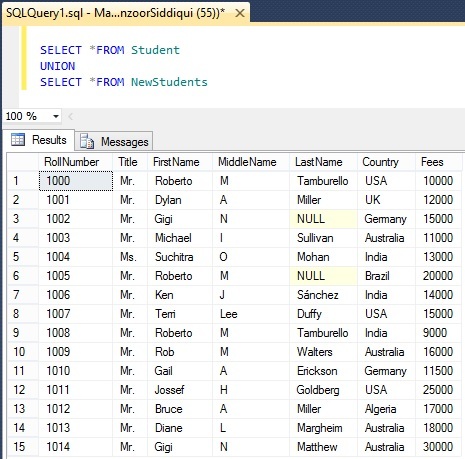 Each SELECT statement within the UNION must have the same number of columns and all columns should have same order with similar data types. Union operator is different JOINs which is also used to combine results of two or more tables. Here is our first table Student. We have second table as NewStudents. 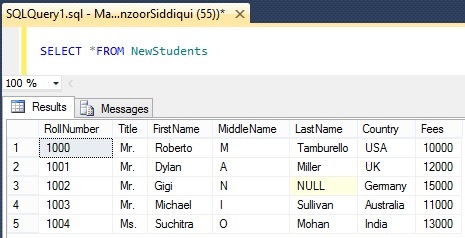 Now, we will use UNION operator to combine records of both the tables Student & NewStudents. So, here is the output. 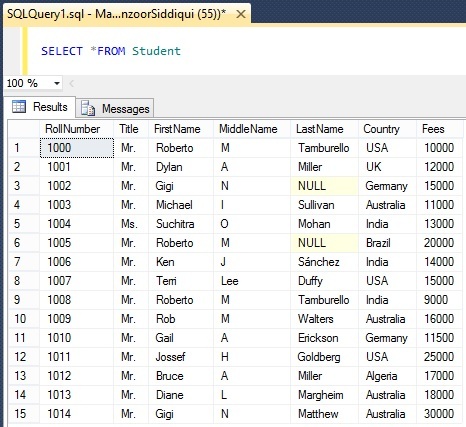 Similarly, you can combine specific columns columns from two tables as given below. 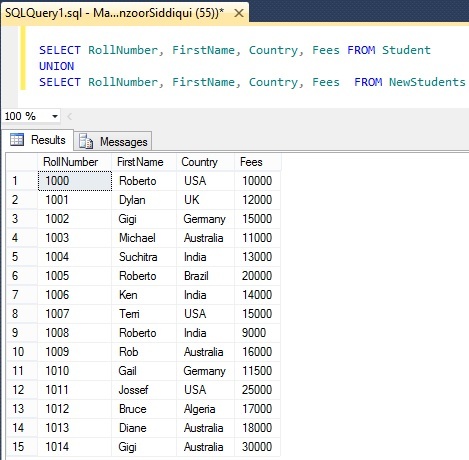 Note: SQL UNION operator returns only distinct values by default. To allow all duplicate values, you can use UNION ALL operator.